Demo at NYCML’18: Get your work seen by 1,000+ media and tech executives. Competitive Deadline: Rolling until September 6th; early submission increases your chances of being selected. NYC Media Lab is looking for projects, prototypes and startup concepts that span emerging media and technology areas such as: VR/AR, AI, machine learning, blockchain, voice tech, and more. 100 demonstrations will be chosen to participate, with accepted projects automatically eligible to receive up to $25,000 in awards. Watch this video to learn more about the event’s signature Demo Expo. Contact Alexis Avedisian (alexis@nycmedialab.org) with any questions. NYC Media Lab is seeking NYC university-based teams that endeavor to start new companies. 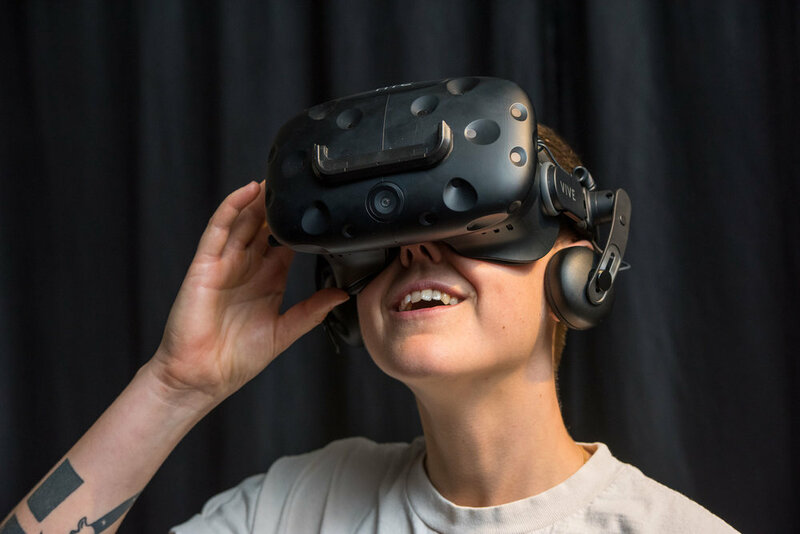 Teams can now apply to join the XR Startup Bootcamp, an accelerator for startup teams focusing on VR/AR, voice technology and other future interfaces. The program will empower teams to adopt the "lean" startup method to search for and develop a business model for their startup concept. Participating teams will receive mentorship from leading media and technology executives and investors from NYC Media Lab Member Companies and $10,000 in funding. Eligibility: Faculty members, students (undergraduate and graduate), and/or existing startups affiliated with a NYC-based university are eligible to apply. Students who graduated in 2018 are eligible to apply. Timeline: The program runs from September through November 2018 at the Brooklyn Navy Yard.